The UK economy received a boost after the latest survey on the health of the manufacturing industry came in above forecasts. On its final release Markit’s purchasing managers’ index for July came in at 51.9 edging up from 51.6 a month earlier. Weighing on the markets however was the fact that orders slowed to a ten month low and that demand for manufacturing products related to business investment remains depressed. Economists have long been concerned that the UK economy remains over-reliant on the consumer sector and the latest data does little to counter that problem. After a strong start GBP/USD fell back to the top of the 1.55 range. The day’s pivot levels are creating a resistance area around 1.5594. The 50-day moving averaging was offering support around 1.5578 and kept falls in check. A slew of data from the US will be pushing “cable” to and fro for much of the week. The minutes from the Bank of England’s last monetary policy sitting will also be out on Thursday. The big mover however could be on Friday’s nonfarm payrolls – particularly if the report misses the 222,000 new jobs that have been forecasted. 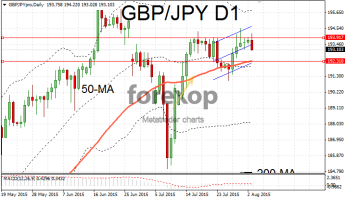 GBP/JPY took its biggest fall in two weeks as traders positioned for a statement from the Bank of Japan towards the end of the week. 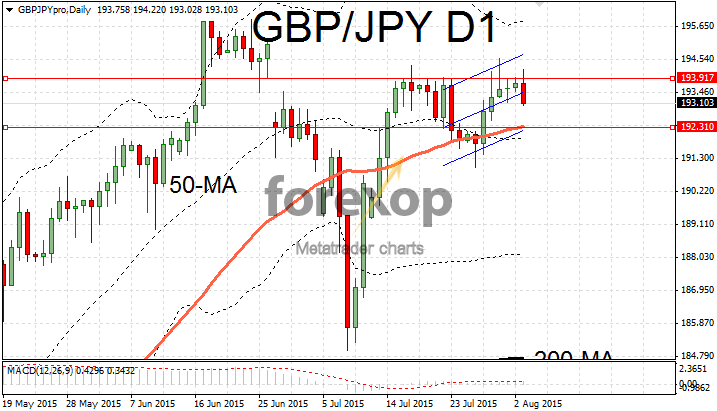 The pair fell back to 193.10 after failing to remain above the upper resistance at 193.91. A fall back to 192.31 could ensue where support is likely to develop. The trend remains bullish on the daily/weekly timeframes and unless we see a drastic change in policy from the Japanese central bank this looks set to remain. The euro outperformed the UK pound and this drove EUR/GBP back up to 0.7028. The pair spent much of the day consolidating but in the end euro strength won the day. Just add your email address below and get updates to your inbox. Should You Invest in Gold in 2017? Why is the FED still waiting for more information? Matthew Holtz is a financial market analyst. Before becoming freelance, he worked in London’s financial district for 3 years in foreign exchange research. He lives in North London with his wife and children.